Here is a free LR preset which gives your photographs a cross-process effect. Its main feature is the increased saturation of colors and a great shift in color balance. After applying Lightroom cross process preset photo colors will become more saturated. The main goal of choosing such Lightroom presets cross process is getting pictures with unusual effects, vantage. After free Lightroom cross process presets the overall level of contrast also increases. This setting makes all details that are captured on a photo more visible. The level of contrast rising depends on the choice of Lightroom cross process preset. In terms of the photo light, after cross processing Lightroom, it becomes washed out. That leads to the effect of dark photography with the lack of natural light. The described effect is doubled, because photo shadows also turn into a rich black color. Every Lightroom cross process preset leaves considerable dark parts. 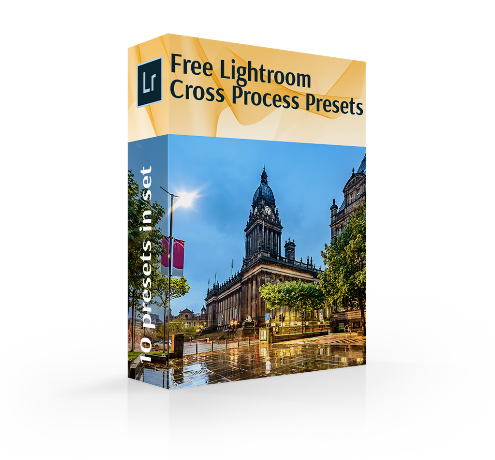 Despite its sophisticated nature, the effect can be easily achieved with the help of our free Lightroom cross process presets that have been organized into a collection consisting of 10 the most used Lightroom presets cross process. LR Preset #1 "Yellow light"
LR Preset #2 "Green shadows"
LR Preset #5 "Soft Shadows"
LR Preset #6 "Soft Skin"
LR Preset #8 "Purple Tonning"
Photos will be contrasting and memorable no matter what Lightroom cross process preset you will select exactly for your pictures. Cross processing examples got with the help of our plugins will become a bright accent on the background of other photos. They change the retouched picture effectively, fast and in most cases completely. Sometimes they become unrecognizable, but this thing is appreciated by many photographers. Light and dark colours are in high contrast. There is a colour shift, extraordinary look. Lr Cross Process Preset #1 "Yellow Light"
In case photo light is harsh, this beautiful Lightroom cross process preset comes in using. The main focus of its work is that is calms light harshness. For this ability such plugins are chosen with the hope of saving midday pictures that are abundant of sunlight. Free Lightroom Cross Process Preset #2 "Green Shadows"
Lightroom presets cross process deal with enhancing green photo tones. Retouchers get soft and unsaturated green colours on photos after them. It does not mean that plugins suit only for landscape pictures, as they are frequently chosen for portraits and still life photography. They also brighten yellow colours and make the general clean up. Lightroom Cross Process Preset #3 "Cold"
In case photographers desire to get photos with soft textures and slight hues of shadows, they are offered with free Lightroom cross process presets. The plugins are characterized as moody and cold filter that reduces warm photo tones. For this it will suit street style pictures or those images in which a sudden moment is captured. Cross Process Preset Lr #4 "Vintage"
Slight leak effect is possible because of choosing this Lightroom cross process preset. This cross processing effect does not change a retouched photo. In order to improve the achieved outcome the filter is widely used in combination with other effects of vintage look. Lightroom Preset Cross Process #5 "Soft Shadows"
An outcome after the next Lightroom presets cross process is bright and saturated. The peculiarity is that shadows on an image are washed out. 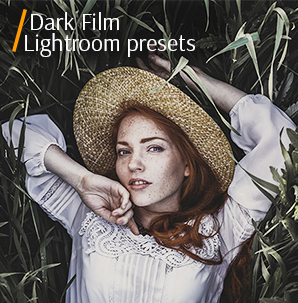 There are no dark photo’s parts that are common for Lightroom cross process presets. The plugin also suits for adding exposure and necessary curve to retouched images. There are no limitations concerning photo style. Lr Preset Cross Process #6 "Soft Skin"
The beautiful Lightroom cross process preset turns the skin tone into a natural flesh tint during application. For such characteristics plugins of this kind suit ideally for street photo sessions, mainly portraits. They make pictures attractive, but preserve natural skin look. Lightroom Cross Process Preset #7 "Matte"
The Lightroom cross process preset makes photos more colourful and saturated. After the plugin picture acquire richness in red tones and that is considered to be the main characteristic of retouched images. Photos also get slightly matte look in combination with slight grain. Cross Process Preset Lightroom #8 "Purple Tonning"
Retouchers get faded shadows in case their choice is these free Lightroom cross process presets. Their influence is also focused on adding slight highlights of green and purple. And the thing that completes the outcome is photo grain. Lr Cross Process Preset #9 "Contrast"
This plugin enables to get smooth and soft vintage photo look. The main difference from other Lightroom presets cross process is that it creates a white border that helps to simulate old film photos. After it photos look quite stylish. Free Cross Process Preset for Lr #10 "POP"
Use this Lightroom cross process preset if you want to a get a retro photo that is too bright. The achieved effect after the plugin pops out pictures. 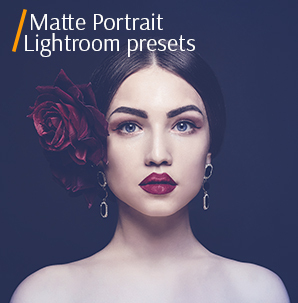 The Lightroom cross process preset is characterized by an unusual red-yellow palette, which includes maroon, blood red, yellow-green and other bright colours. A photograph can have a very different mood, from calm, gentle, to anxious and aggressive. Retouchers always have an opportunity to adjust selected free Lightroom cross process presets to suit his/her personal style and goals. 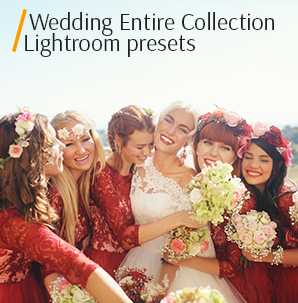 All free Lightroom cross process presets that form this collection are the result of a laborious work of professionals in the sphere of photo retouching. Due to their characteristics they are suitable for all photo styles. Feel free to download and apply them right now.